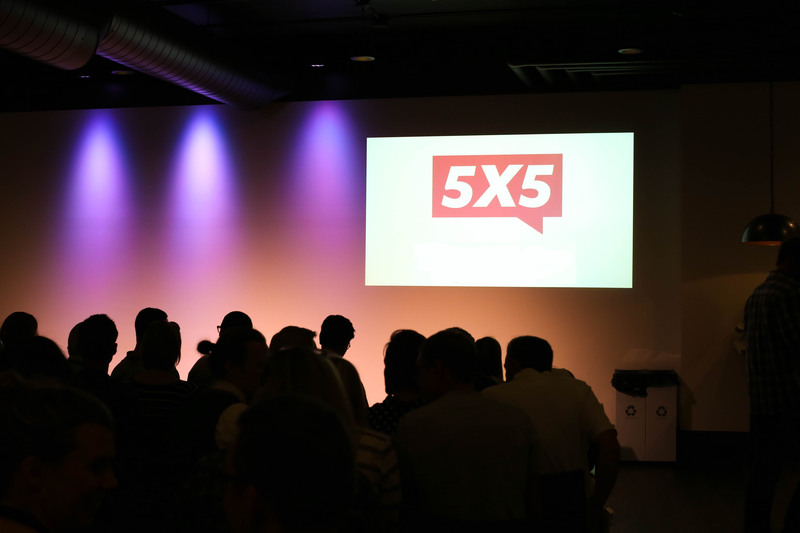 This month’s 5×5 Night took place on October 27 and featured proposals from entrepreneurs developing a wide range of products and services, from apps designed to connect local businesses with complementary needs, a beer education program for aspiring cicerones and a streamlined local delivery program. Danny Vessells presented on behalf of Fathom, a company that specializes in the development and manufacturing of app controlled underwater drones, and winner the $5,000 prize. The team at Fathom plans to use the winnings to purchase an SLA 3D printer to manufacture prototypes to provide professionals in the field of underwater exploration who have agreed to act as Fathom ambassadors and test out the drones, including renowned aquatic filmmaker Fabien Cousteau. Other presenters included Joseph Gregory of Gimmi, a local delivery service for a variety of goods; Adhi Rajaprabhakaran of Local Business Barter, an app that seeks to connect local business to exchange goods and services; Allison Hoekstra of Navigate Brews, an app designed to educate servers and beer experts in a growing brewing industry; and Usman Majeed of Protection, an app that helps users find the most cost effective phone repair services.